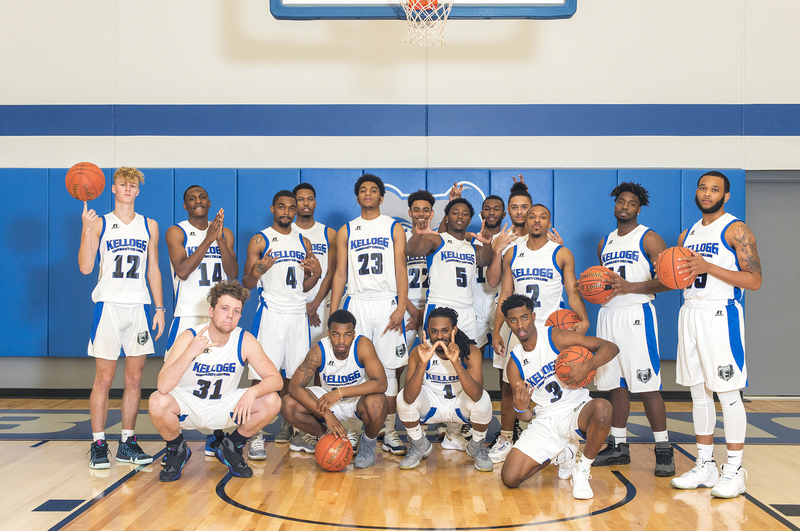 The Kellogg Community College men’s basketball team lost its last two games against conference opponents Glen Oaks Community College on Saturday and Jackson College on Monday. Leading the Bruins on the court were sophomore Omarr Tabb, Jr., who had 26 points and 7 assists; sophomore Davian Phillips, who had 18 points; sophomore Gregorye Windom, who had 16 points and 6 rebounds; freshman Wyatt Heal, who had 15 points and 6 rebounds; sophomore Tishaun Cooper, who had 13 points; and freshman Dom Gibson, who had 6 rebounds and 2 charges taken. Leading the Bruins on the court were Cooper, who had 31 points; Tabb, Jr., who had 18 points; and Phillips, who had 12 points. The recent losses bring the Bruins’ overall record for the season so far to 8-10; the team’s conference record is 3-6. The team plays next starting at 7:30 p.m. tonight, Wednesday, Feb. 6, against conference opponent Lake Michigan College in Benton Harbor. The Bruins’ next home game starts at 3 p.m. Saturday, Feb. 9, against conference opponent Ancilla College in the Miller Gym.